Everybody has a hit list, lines we hope to ski, places we want to go, and tricks we want to stomp. “The Hit List” explores the goals of the world’s best skiers in their quest to have fun, live the ultimate winter, and travel across the globe skiing. 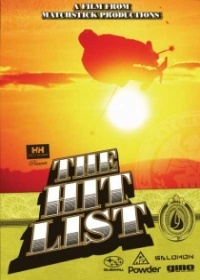 Includes the Hit List Remix DVD, an athlete edited movie. John McMurray Loose Cannon Playaz Who's That?